What’s one of the most classically romantic activities? Riding the train, of course! This Valentine’s Day season (or any time of year), make your travel a breeze by relaxing on the Capitol Corridor train, with spacious seating, scenic views, and a Café Car. We’ve curated a getaway guide to three world-class destinations along our route— San Jose, San Francisco, and Sacramento— where you and your special someone can enjoy a getaway, featuring your choice of these especially romantic hotels, activities, and dining locales. Ride the Capitol Corridor train to the San Jose-Diridon Station for a wonderful escape in the heart of Silicon Valley. 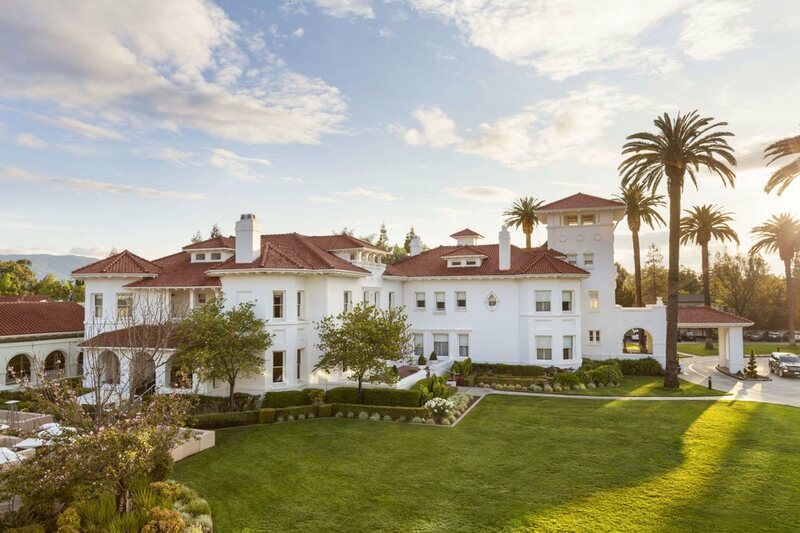 Where to Stay: Give yourself and your companion the star treatment with a stay at the illustrious Hayes Mansion resort in South San Jose, a 15-minute car ride from the train station. Here, you’ll feel secluded and at peace amidst the esteemed Spanish-Colonial architecture, quiet sprawling gardens, and a large pool. For closer proximity to the train and a faster-paced city vibe, the Four Points by Sheraton in Downtown San Jose offers a more casual yet stylish stay, within steps of shopping, restaurants, nightlife, and more. What to Do: To ease into your getaway, stroll hand-in-hand through Kelley Park’s Japanese Friendship Garden. Its Zen-inspired, manicured greenery, koi pond, and charming red bridge make for a lovely setting to spend time with your loved one out in the sunshine. For indoor fun, relish the simple pleasure of one-on-one conversation over sample glasses of wine at J. Lohr San Jose Wine Center (no appointment needed). 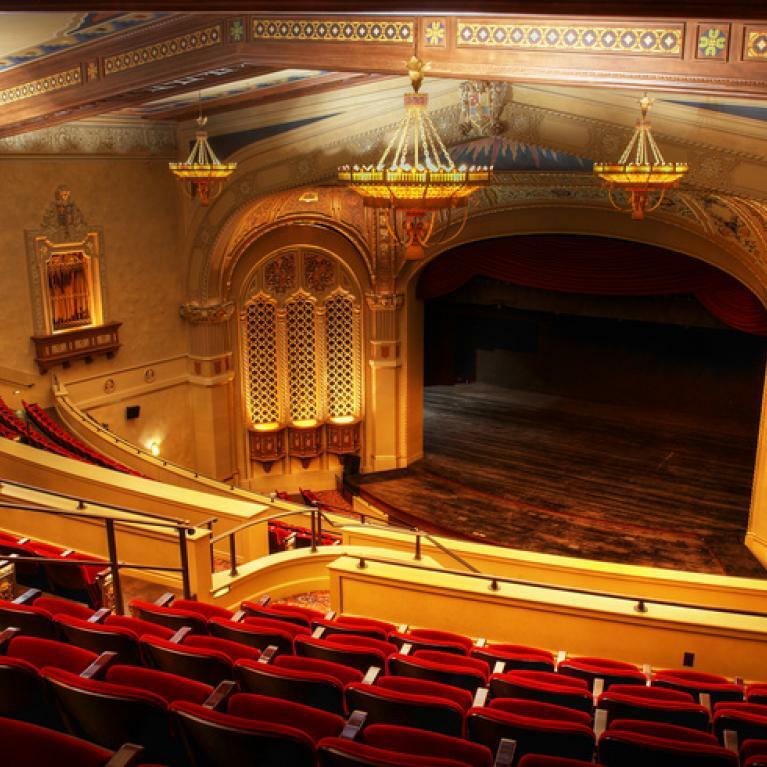 Then, head to a symphony or stage performance at Downtown San Jose’s golden-hued and red-seated California Theatre. 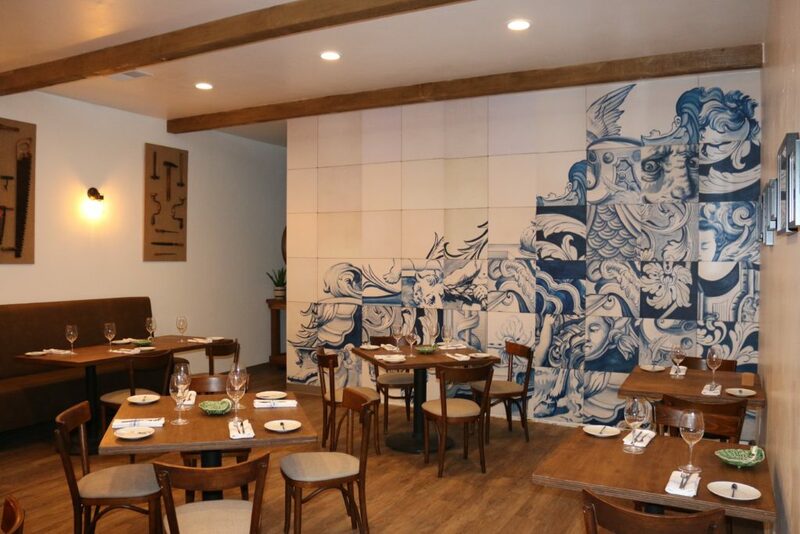 ADEGA Restaurant – Photo courtesy of the Mercury News blog. Where to Eat/ Drink: Dim-lit and ultra-cozy, ADEGA Restaurant is for the swanky and enigmatically-minded. A hidden gem featuring modern Portuguese flavors in fashionable presentations, San Jose’s first Michelin-starred restaurant offers beautifully-prepared seafood cuisine amongst an elegant, intimate ambiance. If you’re in the mood for a dining experience with more of an upbeat, quirky charm, Orchestria Palm Court Restaurant’s automated pianos, music boxes, and antique trinkets enhance the gusto of its classic American and Italian fare. Ride the Capitol Corridor train to the Emeryville Station and connect to Capitol Corridor’s dedicated bus, which stops at the Transbay Temporary Terminal (located in Downtown San Francisco at Main and Beale Streets). Another option is to stop at Richmond Station or Oakland Coliseum Station to catch a BART ride into Downtown San Francisco’s Market Street or Mission areas. 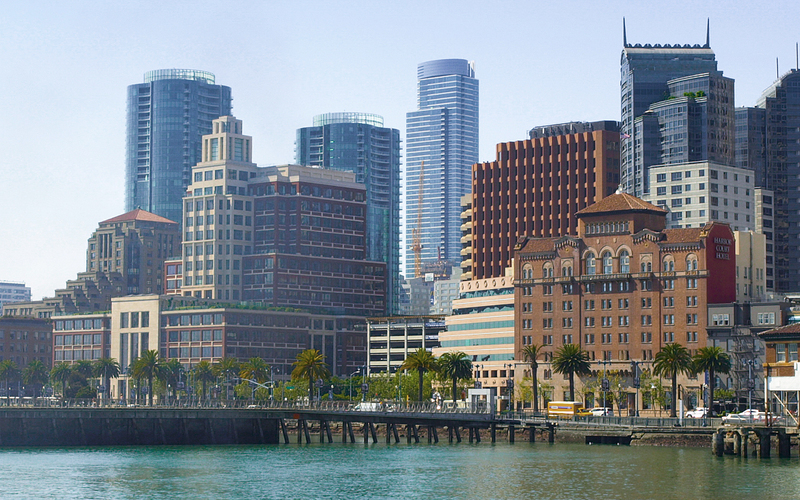 Where to Stay: Nestled amongst breathtaking views of the Bay Bridge and the waterfront, and a few minutes from the Transbay Temporary Terminal or Embarcadero BART Station, Harbor Court Hotel neighbors the Ferry Building and Downtown San Francisco’s buzzing Market Street. Post up in your comfortable room (or the hotel lounge during complimentary wine hour) before heading out for your city adventures. For more of a quaint, country feel, Petite Auberge will make you feel as if you’re out of the city, while still within short walking distance of the shopping mecca of Union Square. Adorable floral rooms and lamp-lit environs make for a warm and friendly bed-and-breakfast stay. 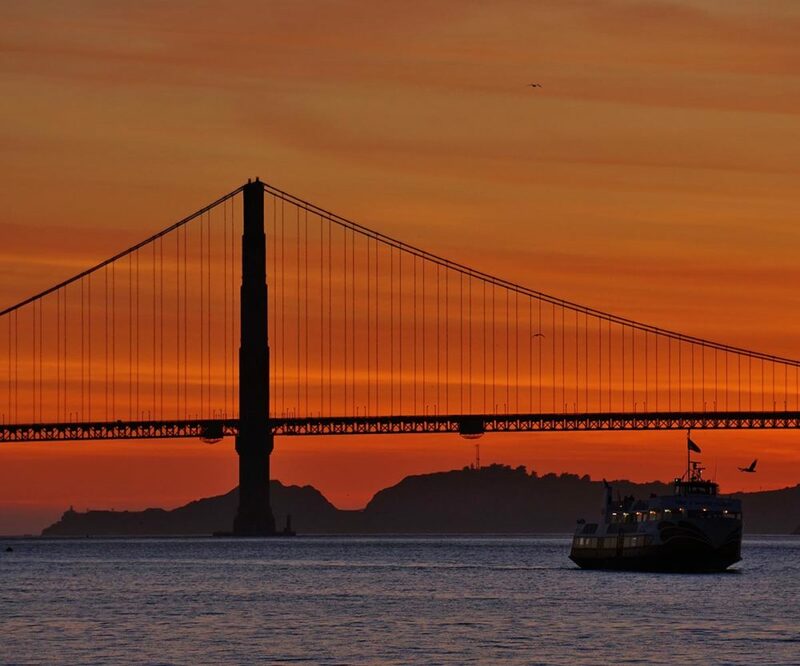 What to Do: When you’re in San Francisco, nothing says romance quite like a sunset cruise on the bay with Red and White Fleet. Light appetizers and drinks complete the two-hour sail’s picture-perfect views of the Bay Bridge, Alcatraz, Angel Island, Tiburon, and more. 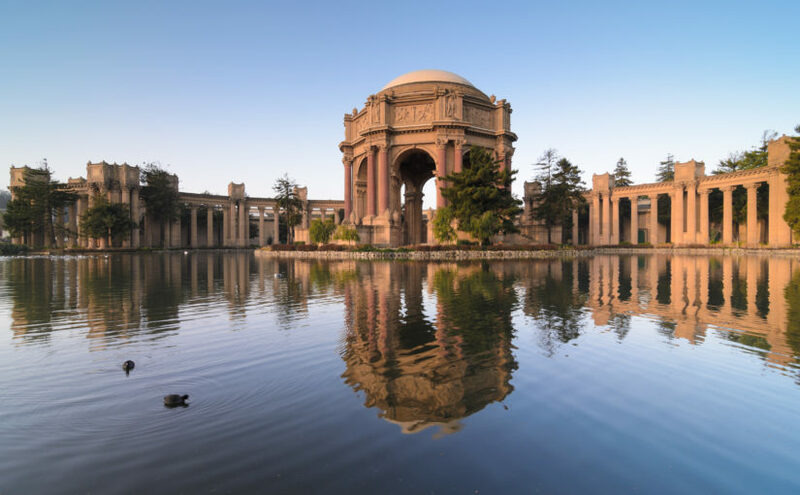 On the other side of the city, the serenely romantic and historic Palace of Fine Arts is a San Francisco must-see. Classical Roman and Greek rotunda architecture is the foundation of the stunning scene, where a circular walking path is enlivened by reflective ponds and elegant herons. Check the venue calendar for a concert or special event to catch on its indoor stage. Where to Eat/Drink: Whether you’re seated on the waterfront patio or indoors, Waterbar drinks and seafood will be an enjoyable end to any day out and about in the city. The $1 oyster and cocktail Happy Hour— a famed locals’ favorite—simply can’t be beat, especially when paired with panoramic views on the San Francisco Embarcadero. 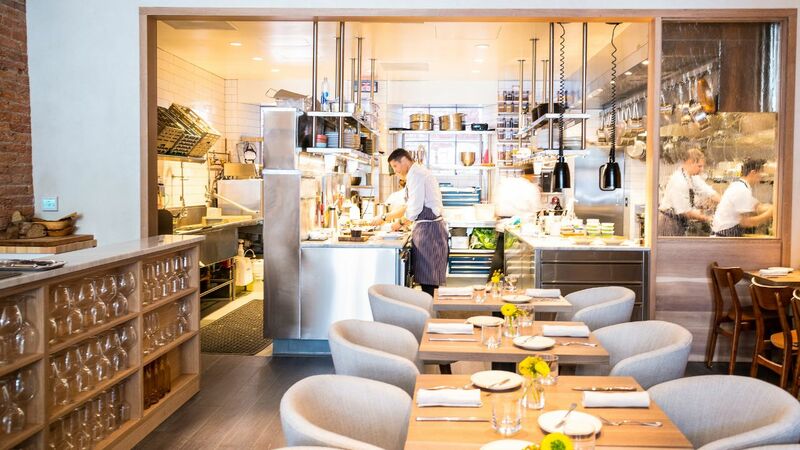 If you’re celebrating an anniversary or other special occasion, downtown SF’s rustic-elegant Nico Restaurant is highly recommended. Go for the six-course chef’s tasting menu to get the most out of this Michelin-star French-American cuisine experience. Ride the Capitol Corridor train to Sacramento Station to begin your fun-filled overnight adventure in the state capital. Where to Stay: If you need a good pampering, look no further than The Inn & Spa at Parkside. The in-house luxurious spa services, including a couple’s massage, make it hard to ever leave! If your romantic style is more poetic, the Amber House Inn is for you. Conveniently located in Midtown Sacramento, the warm, welcoming cottage-homes have a vintage charm; think Victorian porch swings, tea, and parlor rooms, and the houses named after classical composers and turn-of-the-century writers. What to Do: At the heart of Sacramento’s outdoor appeal is the American River. Starting from Downtown Sacramento’s Discovery Park, you and your date can bike side by side for nearly 30 miles (or whatever length suits your stride) along the paved American River Bike Trail. If you’re more comfortable with both feet on the ground, stroll the Old Sacramento waterfront. 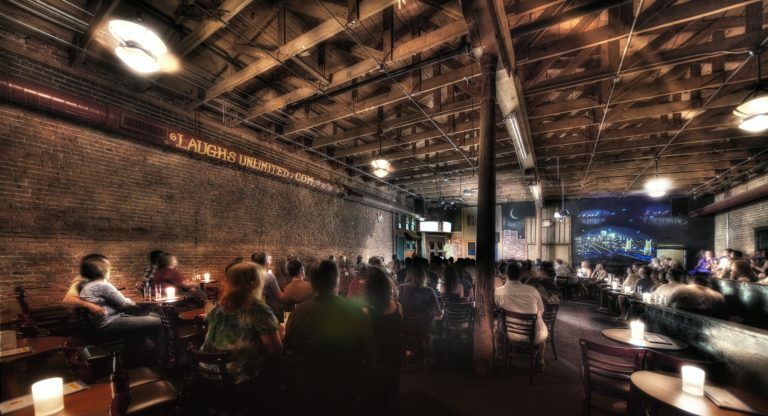 Be sure to check out the California State Railroad Museum and, for some good old-fashioned entertainment, make a reservation at Laughs Unlimited comedy club and giggle the night away with your loved one. Where to Eat/Drink: A popular go-to for romantic special occasions, downtown Sacramento’s Ella Dining Room and Bar effortlessly combines sleek big-city aesthetics with a farm-to-table menu that features award-winning, artistically-plated New American feasts of meats and seafood, along with expertly-garnished cocktails and desserts. And then there’s Lucca: One peek inside the vine-laden, heated outdoor patio and it’s no wonder the Mediterranean restaurant bar is a favorite date night locale. 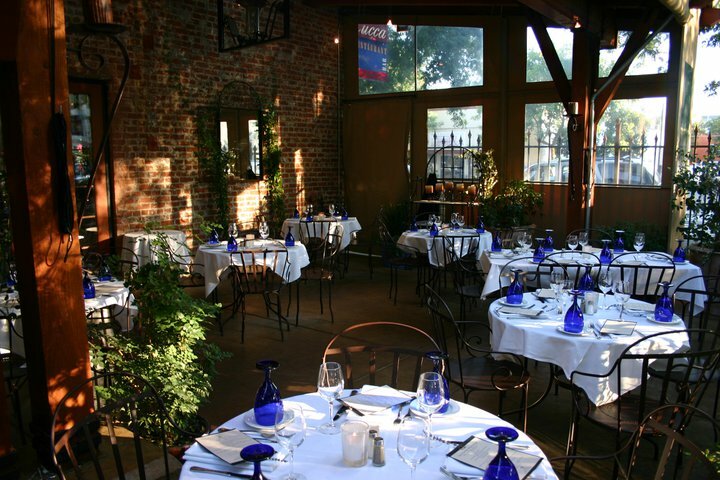 The classy space is centrally located, between Downtown and Midtown Sacramento, and offers upscale fare at a fair price. Start with their signature zucchini chips, fill up on yummy gnocchi, and top it off with a delectable chocolate-hazelnut torte. Next Next post: March Picks: St. Patrick’s Day in SF, Sacramento, & Martinez; Berkeley Jazz; SF Russian Festival; and the Silicon Valley Auto Show!